Posted on March 17, 2017 by Matthew Leib. This entry was posted in Spotlight, Staff Stories and tagged books, reading, staff story. Bookmark the permalink. All librarians like a good challenge—Linda Di Biase perhaps more than most. Three days a week, Di Biase serves as the eBook and collaborative collection strategy librarian in the University of Washington’s Collection Analysis and Strategy Department. When she’s not building and analyzing library collections or helping PhD students access hard-to-find documents half-way around the world, she’s plunging into the forgotten past, utilizing her off-hours to research and write about the lives of some of the Pacific Northwest’s most remarkable, yet least remembered, women. 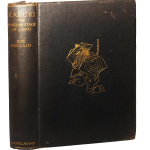 Zoe Kincaid’s “Kabuki: The Popular Stage of Japan” (Macmillan and Co, 1925). A product of the UW alumna’s years living as a journalist in Japan, it was the first book on the subject published in English. Women such as Zoe Kincaid, sister of Trevor Kincaid, the biologist boy-wonder who helped establish the UW Department of Biology and for whom Kincaid Hall is named. “Everybody knows Trevor, but nobody knows Zoe,” Di Biase says of the UW alumna who, after graduating, moved to Japan to work as a journalist and became an expert on Kabuki theatre. In 1925, she published Kabuki: The Popular Stage of Japan—the first English-Language book on the subject . Or Margaret Peppers, whom Di Biase discovered in the early 2000s when she was commissioned to write a chapter in the centennial history of the Episcopal Church diocese of Western Washington. Peppers worked as a church deaconess serving Japanese congregations in Seattle’s International District and Kent’s White River Valley from the 1920s through World War II. “When Japanese Americans were incarcerated in internment camps during World War II, she chose to accompany her congregation in Seattle to Minidoka,” Di Biase explains, adding that Peppers wasn’t allowed to live in the Idaho camp, but lived just beyond its walls as part of an ecumenical ministry. A contemporary of Margaret Peppers and an equally strong voice against the unjust incarceration of Japanese Americans was Azalia Peet, a teacher and Methodist missionary who had served Japan, but was recalled to the U.S. prior to the outbreak of war in 1941. Upon her return, Peet became one of the most vocal of a very few opponents of the U.S. government’s internment program, heard as one of just two voices of protest at the House Select Committee Investigating National Defense Migration’s 1942 hearing in Portland. Of the two at the hearing to speak out against the policy, Peet was the only one to object on moral grounds. Peet went to live and work alongside Japanese-Americans in a farm labor camp in Nyssa, Oregon where she ran a pre-school for children whose mothers were in the fields farming sugar beets. Di Biase says that while the intolerant climate of the wartime Northwest has “a surprisingly sad contemporary ring to it,” these stories of women standing in solidarity with their neighbors can serve as sign-posts from the past pointing a path forward—that is, provided they’re made visible. Since 2015, Di Biase has published articles on Peppers and Kincaid in Columbia: The Magazine of Northwest History and taken her work to the people, presenting a talk at McMenamins “history pub” series in Portland last October. Her next undertaking will be to weave the Peppers and Peet narratives together into a work of historical fiction. Di Biase admits the prospect of doing so is daunting, but says she’s up for the challenge. Few other career paths could have better prepared her for it. 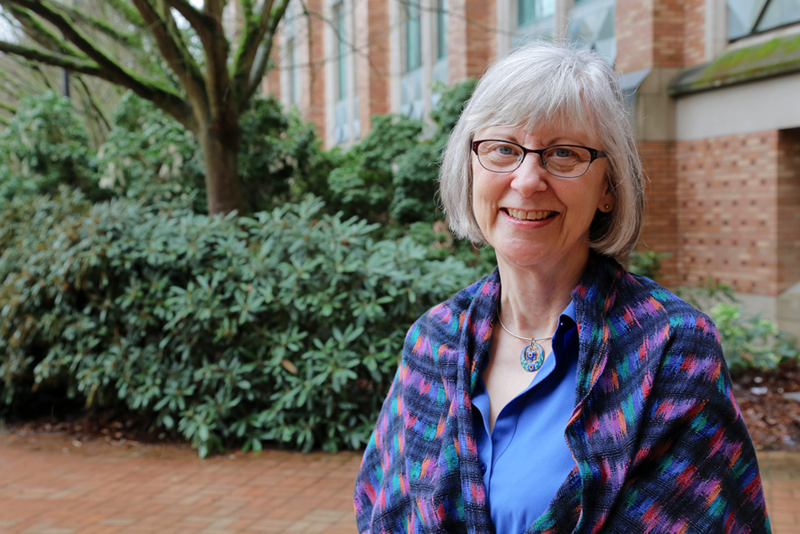 This March marks Linda DiBiase’s thirtieth year working in libraries at the UW, having started half-time as a collections development librarian in 1987. Previously, she had worked with rare books and manuscripts as a special collections librarian in California before moving to Seattle in the early 1980s with her first husband to start a family. At the time of the move, Di Biase was in the process of completing her master’s degree in history and, as a way of getting to know the area, decided to shift the focus of her research from a Pasadena artists’ colony to the history of arts organizations in pioneer-era Seattle. After a part-time stint as an archival consultant in a public history firm, she realized she “missed being a librarian” and replied to an ad in The Seattle Times for a collections development job at the UW. “That’s probably the only job I’ve ever gotten in my life through a newspaper ad,” she says. Not that she’d be looking after that. Di Biase soon took another half-time job at the UW, serving in the Philosophy branch library in Savery Hall, a position which eventually morphed into a full-time role. Today, in addition to her work coordinating collection development, Di Biase serves as librarian of Comparative Religion for the Jackson School and for the Classics department. As a collection analyst and coordinator, Di Biase spends more time than most collaborating with other libraries and organizations, coordinating collecting efforts so that individual libraries can acquire works in specific areas and then leverage that expertise to a broader audience. Even with much of her focus on building and analysis, she still likes to take shifts on the reference desk as a way of maintaining face-front to the student and faculty population she serves. The most common misperception of her line of work? “We don’t get to read everything,” she says, adding that the majority of collection-building occurs in setting parameters with vendors and publishers around the certain types of media and material departments are looking to acquire—print, digital, or otherwise. For her part, Di Biase has readily adapted to the shift and upheaval of the digital age, spearheading University efforts to develop and expand its academic eBook collections. More than anything, she says the work has proven a natural extension for her skill set. It’s a versatile mindset that informs almost everything Di Biase does, both on campus and away from it. In addition to historical research and writing, Di Biase is fond of rare book hunting with her bookseller husband, with whom she also leads pilgrimage tours to early Celtic Christian sites in England, Scotland, Wales and Ireland. Much like the women she chronicles, Di Biase seems driven by a spirit of inquiry that fuses fact-finding with faith. 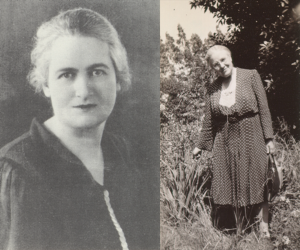 Read Linda Di Biase’s articles on Zoe Kincaid and Margaret Peppers in the Spring 2015 and Fall 2016 issues of Columbia: The Magazine of Northwest History, respectively. An earlier work, “Neither Harmony Nor Eden: Margaret Peppers and the Exile of the Japanese Americans,” was published in the March 2001 issue of Anglican and Episcopal History and is available to all UW faculty and staff on JSTOR. For her work on Margaret Peppers, Di Biase received the Frank Sugeno Award for the Episcopal Women’s History Project in 2012.